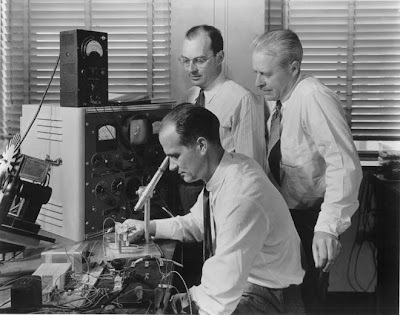 Physics Buzz: Bell Labs Ends an Era. No, it won't immediately cure cancer or result in mega-profit making gadgets. Nonetheless, a twinge of sadness ensnares the recent announcement that Bell Labs is terminating its basic physics research lab. This is a lab that produced six Nobel prizes, along with the invention of the transistor, laser, and countless advances in computer science and technology. Check out WIRED's "Bell Labs Kills Fundamental Physics Research". *Previously defunct link is now working! The link to the WIRED item is broken. The link is now fixed, thanks.